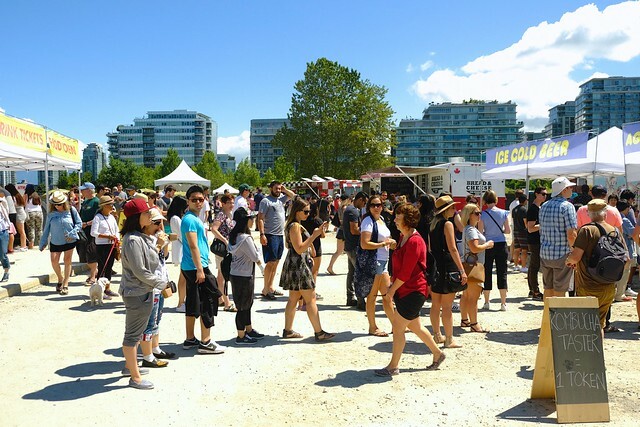 Olympic Village—(July 3, 2017) The Big Brunch event for Vancouver's sixth annual summer YVR Food Fest (formerly known as Food Cart Fest) assembled some of the city's notable food trucks over the Canada Day long weekend. 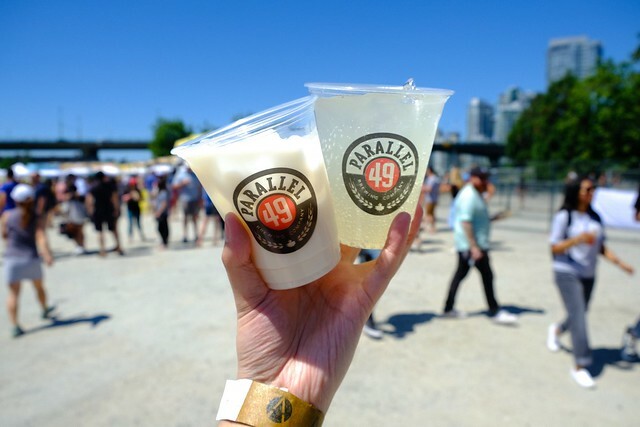 Dubbed "the largest outdoor brunch in the city's history", the unique event acted as a gigantic outdoor brunch featuring nearly every conceivable kind of mid-morning dining fare from some of the city's best restaurants and cafés. 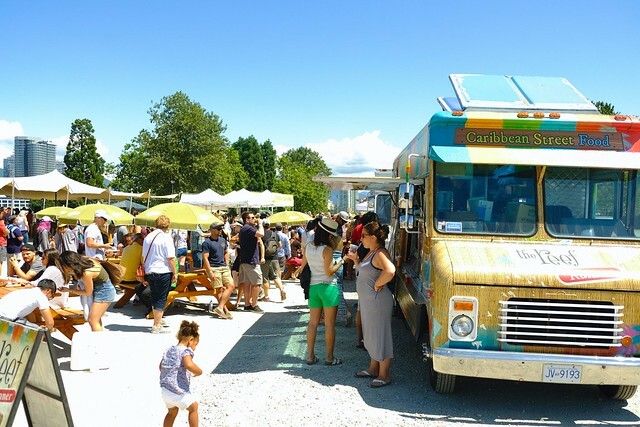 As for the Food Fest on the whole, the focus has shifted from not only featuring Vancouver's most popular food trucks, but also exploring deeper food culture through the weekend's various events, dining programs, and tasting menus. 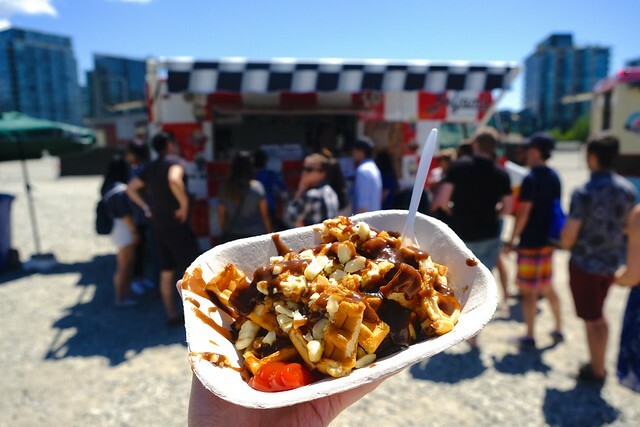 On this hot summer holiday Monday, I went with the freshly-made, decadent poutine waffles from Beljam's Waffles. It's exactly as it sounds: gooey cheese curds smothered with piping hot gravy served on waffles instead of French fries. 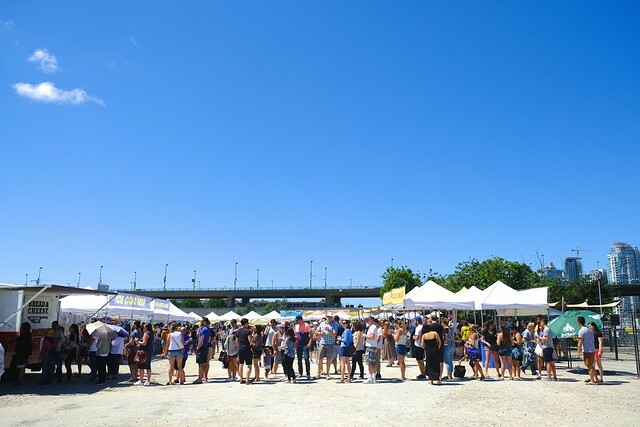 There were some intriguing brunch items galore including breakfast nachos and maple candied bacon from Papi's Mexican Grill among the more usual fare. 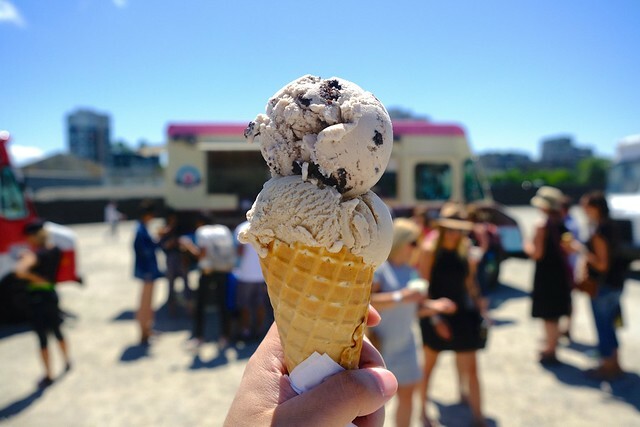 I, of course, cooled off with two scoops of cookies 'n cream and maple bacon ice cream in a waffle cone from Rocky Point Ice Cream truck (Port Moody) for a refreshing treat. 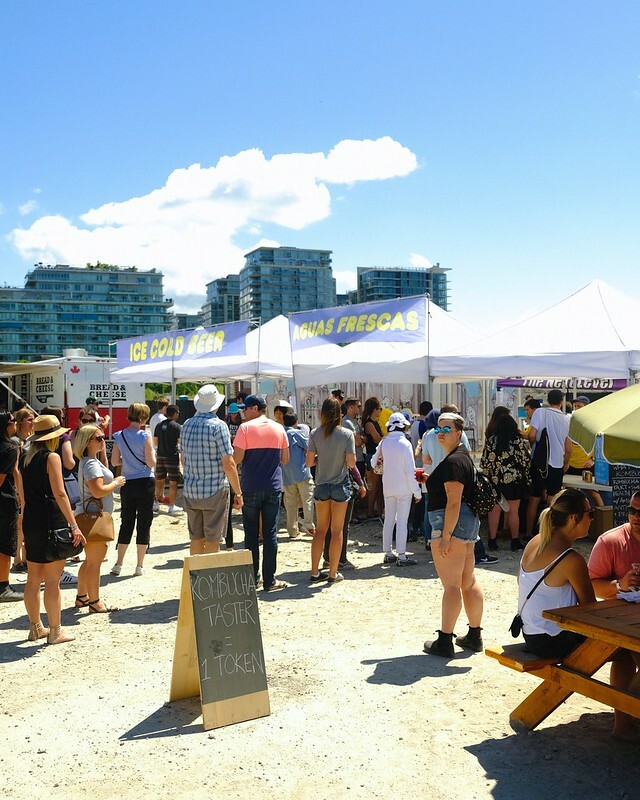 YVR Food Fest and its organizers, the Arrival Agency, continue to expand and further our local food culture by making it easier for everyone to discover and access the many dining corners of our city in one convenient place.